Again and again in the New Testament we are instructed to respond to brothers and sisters in a reciprocal way. This relationship is often uniquely expressed with the pronoun “one another” (Gk., allelon) or, occasionally, the same thought is conveyed by “each other” (Gk., heautos; and also by heis ton hena, e.g., 1 Thess. 5:11). This speaks of mutuality or a “give and take” relationship of giving and receiving. “Be devoted to one another in brotherly love” (Rom. 12:10; cf. 13:8). “Give preference to one another in honor” (Rom. 12:10). “Be of the same mind toward one another” (Rom. 12:16; cf. 15:5). “Pursue . . . the building up of one another” (Rom. 14:19). “Accept one another” (Rom. 15:7). “Admonish one another” (Rom. 15:14). “Greet one another” (Rom. 16:16; 1 Cor. 16:20; 2 Cor. 12:12). “When you come together to eat, wait for one another” (1 Cor. 11:33). “Have the same care for one another” (1 Cor. 12:25). “Bear one another’s burdens” (Gal. 6:2). “Showing forbearance to one another in love” (Eph. 4:2). “Be kind to one another” (Eph. 4:32). “Forgiving each other” (Eph. 4:32; cf. Col. 3:13). “Be subject to one another” (Eph. 5:21). “Bearing with one another” (Col. 3:13). “Regard one another as more important” (Phil. 2:3). “Teaching and admonishing . . . one another” (Col. 3:16). “Encourage one another day after day” (Heb. 3:13). “Comfort one another” (1 Thess. 4:18). “Build up one another” (1 Thess. 5:11). “Live in peace with one another” (1 Thess. 5:13). “Seek after that which is good for one another” (1 Thess. 5:15). “Love of each one of you toward one another grows even greater” (2 Thess. 1:3). “Stimulate one another to love and good deeds” (Heb. 10:24). “Do not speak against one another” (James 4:11). “Do not complain . . . against one another” (James 5:9). “Confess your sins to one another” (James 5:16). “Fervently love one another from the heart” (1 Pet. 1:22). “Keep fervent in your love for one another” (1 Peter 4:8). 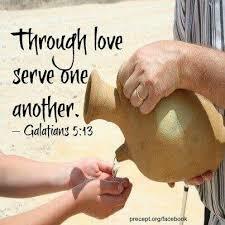 “Serving one another” (1 Pet. 4:10). “Clothe yourselves with humility toward one another” (1 Pet. 5:5). “We have fellowship with one another” (1 John 1:7). “We should love one another” (1 John 3:11; cf. v. 13; 4:7,11,12; 2 John 5). Each one of the commands and statements above could be studied with profit. Each one of the statements is directed to true believers who are to have deep and loving relationships with one another. This is the kind of fellowship that Christ, the Lord and Head of the body, wishes for His people. How will you and I personally participate in this dimension of fellowship?